A bite from a pit viper, locally known as habu, can cause permanent disability and even death. Yet, much about the snake's venom remains an enigma. Highly variable in composition, even between littermates, this toxic cocktail keeps changing over generations. A recent study in Genome Biology and Evolution sheds light on the evolution of snake venoms. For the first time, researchers have sequenced a habu genome, that of the Taiwan habu (Protobothrops mucrosquamatus), and compared it to that of its sister species, the Sakishima habu (Protobothrops elegans). More than 50 instances of snake bites were recorded in the past year on Okinawa alone, prefectural government figures show. Globally, snake bites cause between 81,000 and 138,000 mortalities per year, according to the World Health Organization. In developing countries and rural areas with high exposure to venomous species and scant medical resources, snake bites can be especially devastating. For such places, creating effective antivenom can be a matter of life or death. By taking samples of venoms and soft tissues from more than 30 specimens of the Taiwan and Sakishima habus, invasive but well-established species on Okinawa, researchers from OIST and the Okinawa Prefectural Institute of Health and Environment were able to map entire sequences of venom genes. 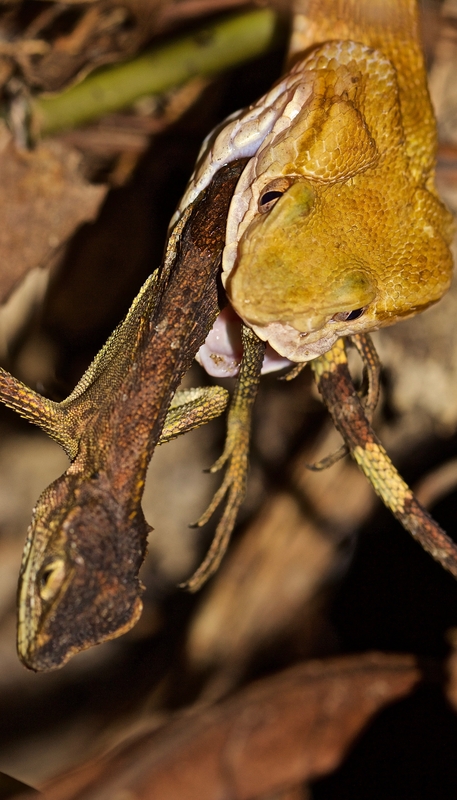 Their study shows more than one factor at play in the evolution of this venom. The Taiwan habu (Protobothrops mucrosquamatus) is an invasive species that has become well established in Okinawa. To understand how the chemical composition of a snake bite evolves, it is crucial to understand its redundancy. Like multiple engines that allow a plane to fly if one of them should fail, venom targets multiple systems, assuring the snake’s success. This complex mixture of proteins and small organic molecules attacks crucial prey physiological systems, such as blood pressure or blood coagulation, at several points. Even if one venom component does not prove optimally effective, various others do. Over time, as snakes reproduce, advantageous traits of venom are passed on to offspring in the process of natural selection. However, the offspring can also inherit other traits — not necessarily beneficial ones. Because the average dose of venom is so high — in some cases killing prey almost instantaneously — it can mask inefficiencies in the venom’s chemical makeup. These inefficiencies can be passed down from generation to generation with relatively little effect on the venom’s function. It is the role of genetic drift, a concept about which biologists have long speculated, that the researchers were able to demonstrate in the habu genome. While numerous studies have shown that natural selection plays a large part in the evolution of snake venom, until recently, the role of drift has only been hypothesized. The researchers’ work opens the door to new avenues of study as well as medical applications. 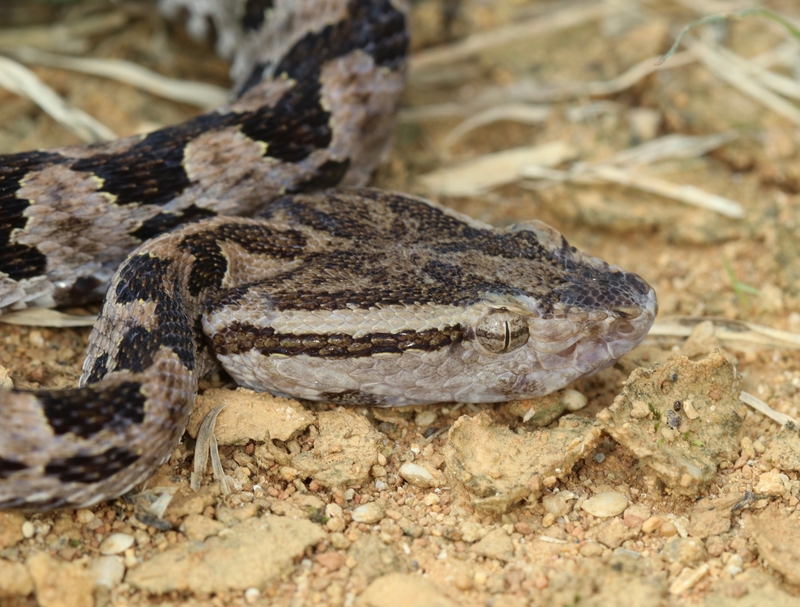 A Sakishima habu (Protobothrops elegans), endemic to the southwestern Ryukyus, has now become established in southern Okinawa Island. This specimen, encountered on Iriomote Island, was eating a tree lizard (Japalura polygonata). 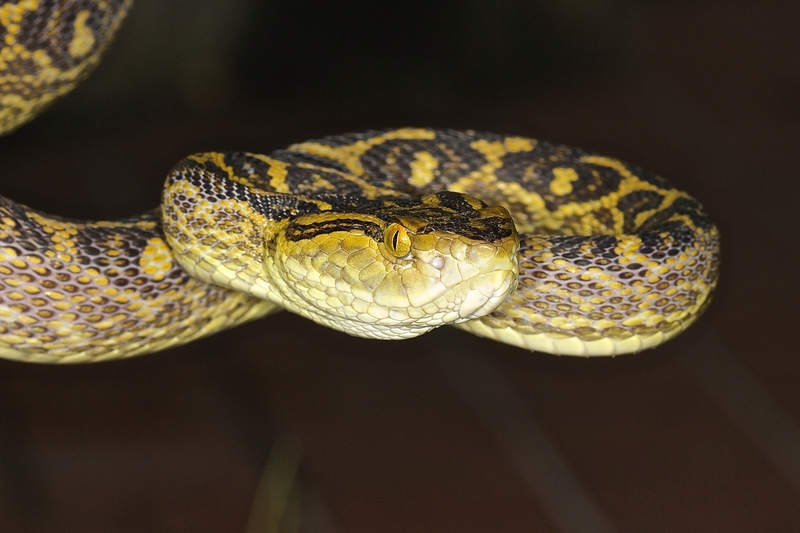 The habu (Protobothrops flavoviridis), native to Okinawa, can reach lengths of 2.5 meters.